Silver Gold Diamond Pearl Heart Necklace designed by Gilda Baker. Silver Gold Diamond Pearl Heart Necklace designed by Santa Fe artist Gilda Baker. 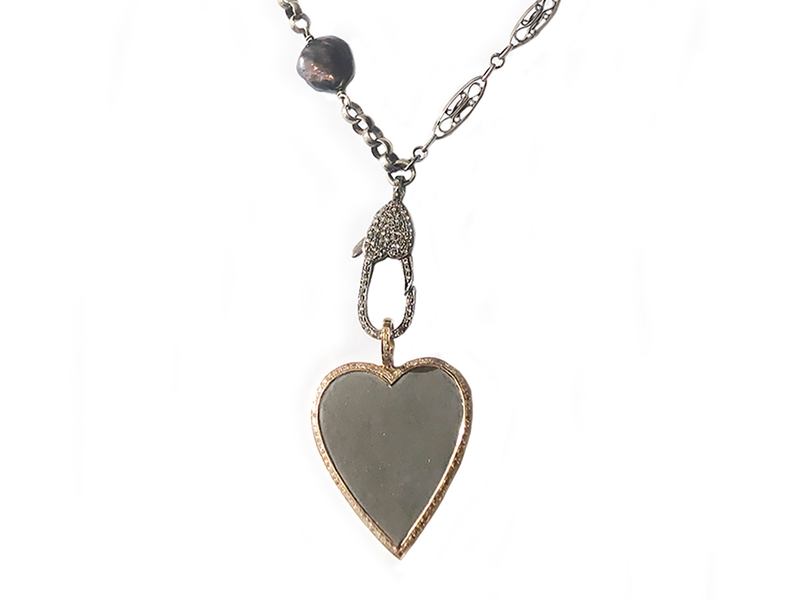 This one of a kind necklace features a sterling silver heart with 14 karat yellow gold diamond border. The large lobster claw that holds the heart is encrusted with pave diamonds. 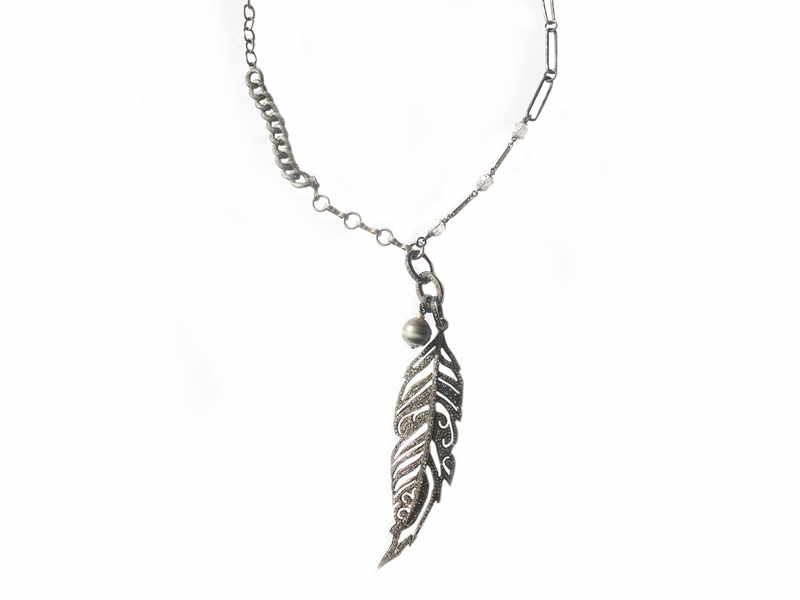 The chain is made from vintage 1920’s chains found all over Europe with a large purple baroque pearl accent. 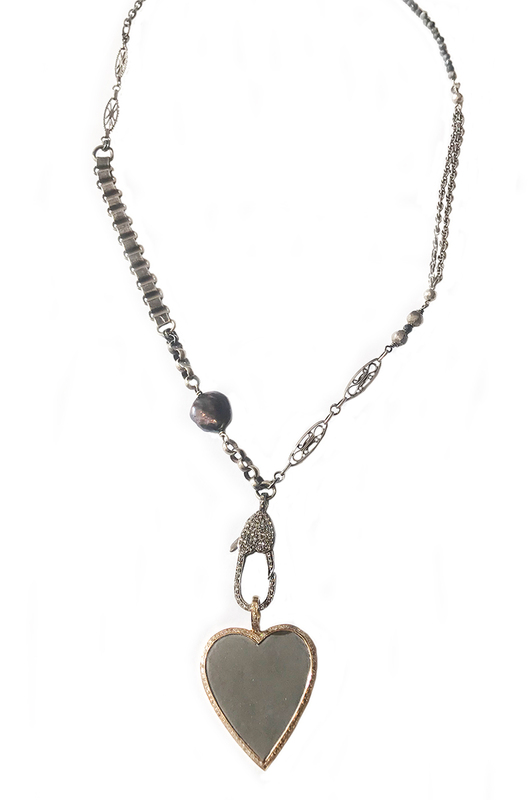 The chain is 34″ inches long and the heart is 1 1/2″ inches around. Gilda Baker started in the women’s clothing business in 1970. She opened her own boutique in 1985, in Newton, MA, carrying fashionable clothes, accessories, and jewelry. Gilda’s remains open in its original location. Married, and the mother of two and grandmother of four, she relocated to Santa Fe in 2002. 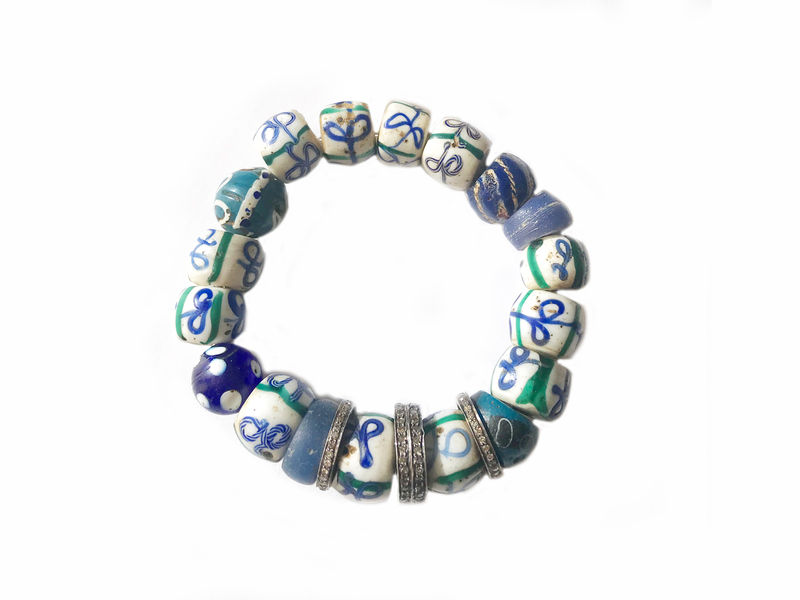 In 2009, she started to design and manufacture jewelry locally. 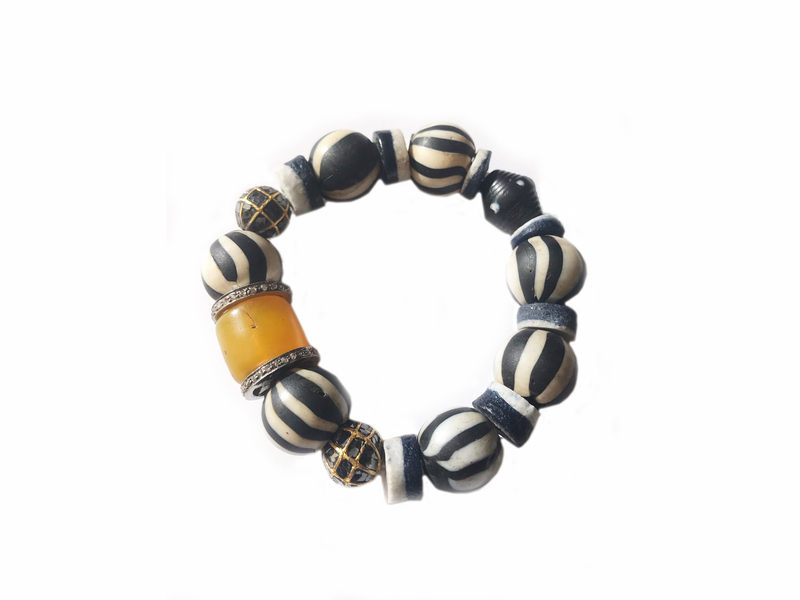 The initial line, called “Beads of Love”, consists of bracelets of antique African trade beads. 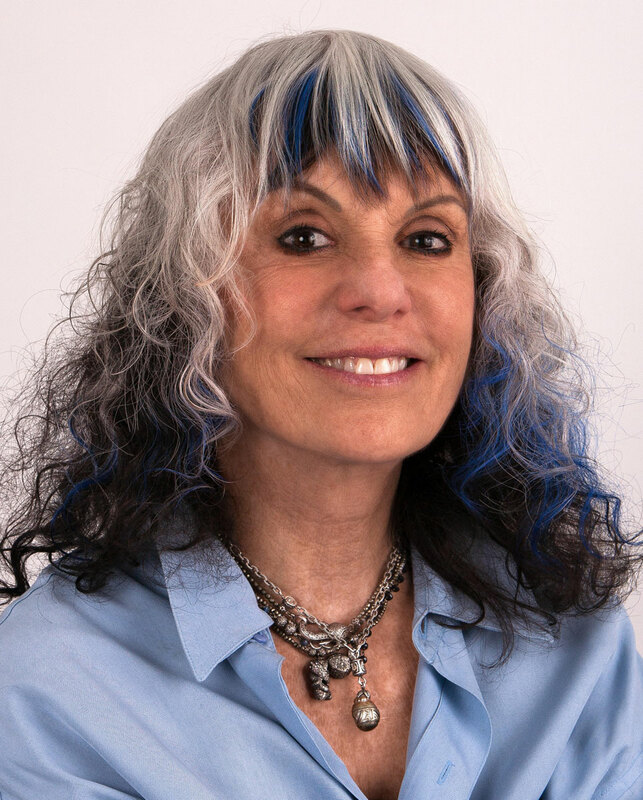 In 2011, she added a new line, “Gilda’s Gewels”, of necklaces made of silver, gold, and diamonds, with as much vintage silver chains and silver and pearl pendants as are available. All items are truly “One-of-a-Kind”.